Thanks so much to the very talented Soraan Latif for an interview with his Seven Shades of Black Magazine! 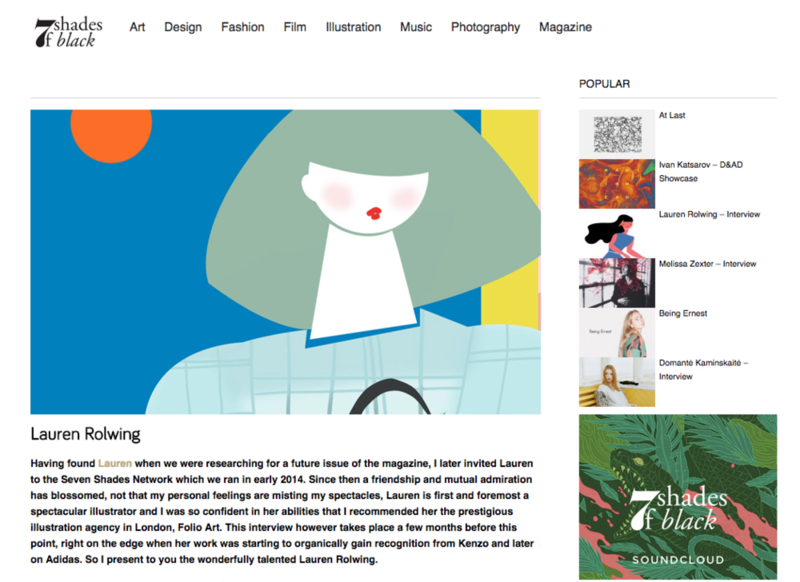 From their site: Seven Shades of Black is a digital arts and music magazine founded in 2011 based in London, UK. I am also honored to be included in the 7 Shades Network. Follow for loads of inspiration! 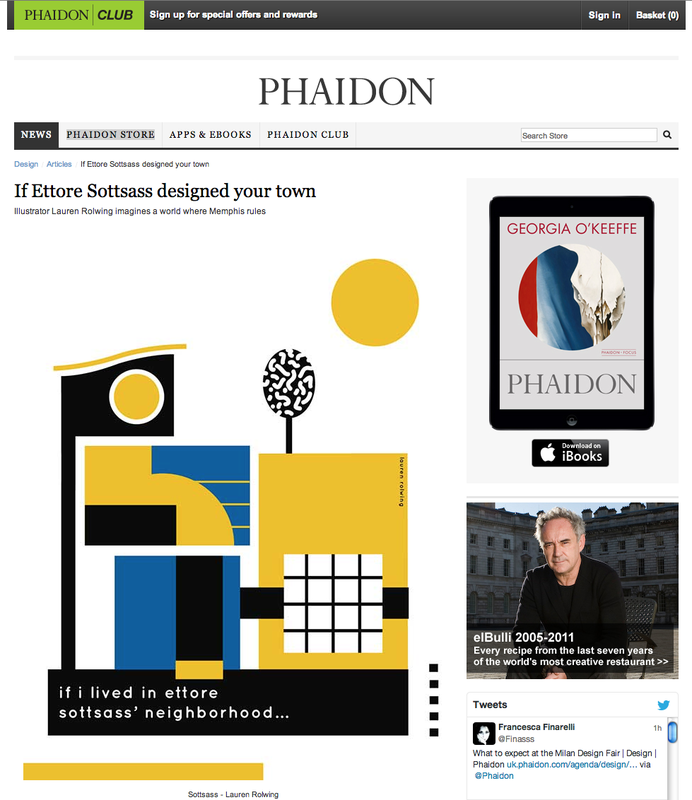 I am honored that my new project, "If I lived in Ettore Sottsass' Neighborhood", was featured on my favorite design site, It's Nice That! I am drawn to Memphis for its use of bright colors, squiggly lines, asymmetrical shapes, and its sense of humor. To read the article please visit, It's Nice That. 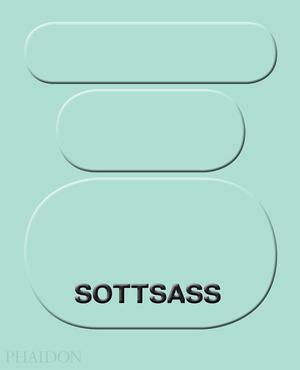 Ettore Sottsass was an Italian architect and designer of the late 20th century. In Italy in 1981, Sottsass and some fellow designers and architects founded the Memphis Group named after Bob Dylan's song, "Stuck Inside of Mobile With the Memphis Blues Again". Nathalie Du Pasquier was a founding member of the Memphis group, and is known for her ingenious pattern designs that are colorful, explosive, and exuberant. Ettore Sottsass' Tahiti Lamp is made fro inexpensive materials like plastic and metal, but the creativity of its unconventional bird-like character is considered a symbol of the entire Memphis Movement. Its style is polar opposite from the rationalism of the 1970s, and lead to Memphis being described as a mix between Bauhaus and Fisher-Price. 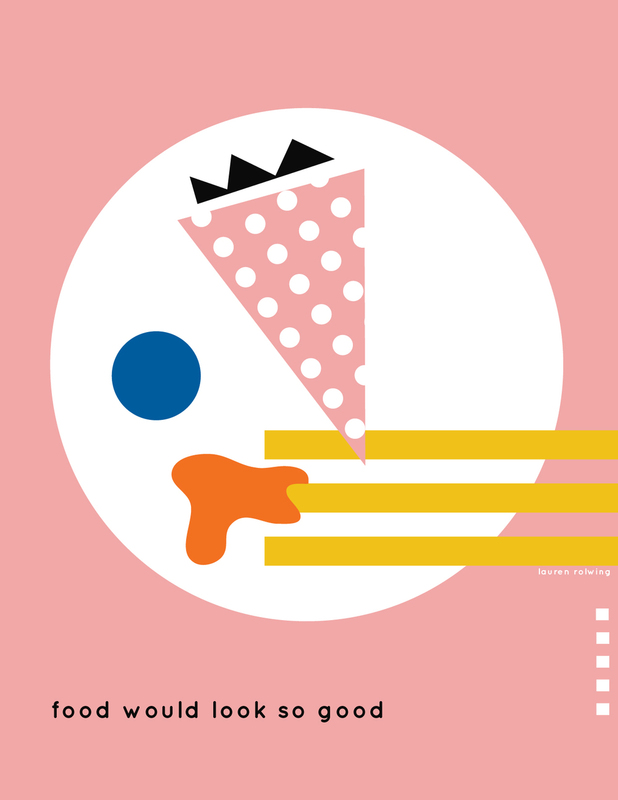 Memphis patterns and shapes are undeniably linked to the 1980s. The shapes of the pieces were exuberant and colorful. Pieces featured sharp angles and interesting curves. Martine Bedin designed The Super Lamp, which was inspired by her childhood travels. 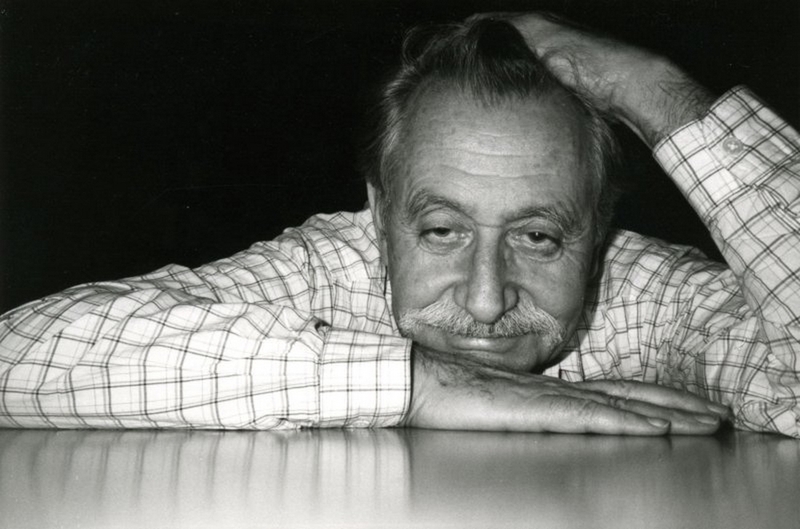 When Sottsass first saw the drawing, he asked her to explain it. She talked about wanting to design furniture she could take with her. "I can carry it behind me like a dog", she said. I am extremely honored to be featured on Poster Poster's Poster Monday! Poster Poster is a website that celebrates all things poster, including interviews with masters and happenings around the world. In addition to being the site's founders, Christopher Scott, Natalia Delgado, and Pablo Di Firma, are talented poster artists as well. Fashion illustrations in the January issue of Marie Claire Australia! It is so nice that I am featured on one of my favorite sites, It's Nice That. I am very happy to be featured on one of my favorite fashion blogs, Style Bubble. To read the article, visit Style Bubble.